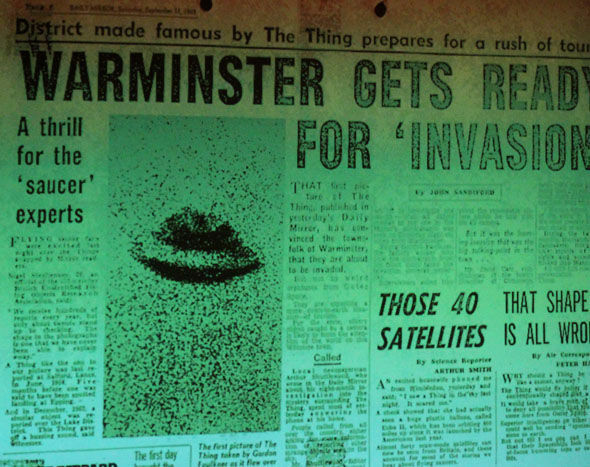 It’s been 50 years since Warminster was spun up in a frenzy because it was the center of mass UFO sightings, and now they are coming together to remember what happened back in those crazy days. Warminster is a small town with the population of about 17,000 located in western Wiltshire, England. The whole event didn’t start with actual UFO sightings, but instead strange sounds which led it to be labeled as “The Thing”. On Christmas Eve 1964, many witnesses described sounds like, “twigs or leaves being drawn across a roof, or a chimney crashing to the ground, or roof tiles being forcefully rattled around”. In the fall of 1965, a “detonation noise” rocked houses on the town’s Boreham Field. These strange noises continued into the following year with various reports, one such sound killed a flock of birds, but soon the noises were replaced by reports of strange sights of unusual objects. *Oct 8, 1965, 12.25am; A woman driving towards Warminster felt her car lose power after seeing a bright orange ball before the vehicle stopped. She then saw a dark object rise from a nearby field, sparking red and blue, before the engine started up again. *September 7 1965, 8pm: Major William Hill’s car cut out and was “shaken by air vibrations”. He got out and heard a whining, crackling noise. *Approx. 1967: A businessman driving past Clay Hill felt his car become hot and heard a high-pitched noise before the engine failed. He got out and saw a glowing white disc overhead before it sped off. While the conference didn’t provide any answers about what happened during this crazy period it did show there is still a lot of interest. If you’d like to know more about the Warminster events, here’s a documentary with some interviews captured at the time. In addition, you can read more about the conference and other speakers at the express.co.uk. You can find just about anything on YouTube and now this YouTuber is saying that he’s found incredible footage straight from the NASA live video feed of two UFOs buzz the International Space Station. He describes the objects as two “light orbs flying below the ISS in orbit”. He also believes the objects were going faster than the ISS and overtook it. The video shows two objects moving across the screen from left to right in the same direction as the space station. They initially appear to be flying above clouds, but these then fade and they are seen over total darkness. The German Parliament has been ordered to release all confidential UFO related files after a lengthy court battle. 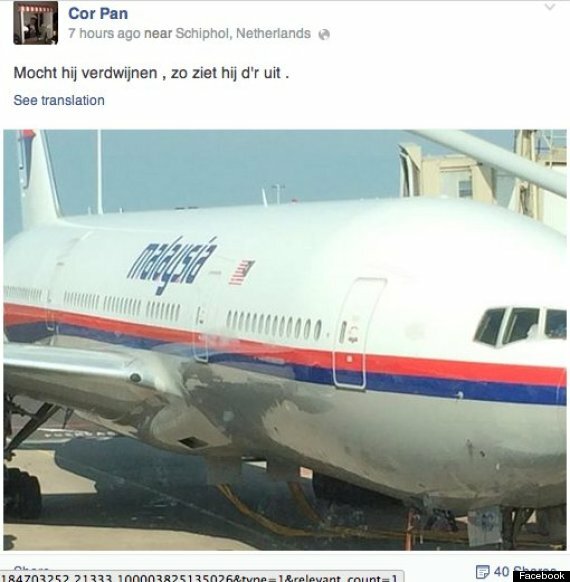 The government had previously denied the existence of the files up until 2008 however, a UFO researcher had discovered a parliamentary department had been investigating extraterrestrial objects in 2009. No date has been determined for the release of the files, but some wonder if we will see anything of substance. Recently, the British government had to release their files in 2005. They admitted to conducting a thorough study, and while they did find that Unidentified Aerial Phenomena are real, they are not extraterrestrial. One can only hope we might get something more interesting this time. The Disclosure Project puts together top-secret military, government, and intelligence officials to tell their stories in this four-hour long video. This interesting testimony by government insiders claims to prove that UFOs are real, that some are of extraterrestrial origin and that super-secret programs have energy and propulsion technologies that will enable humanity to begin a new civilization, one without pollution and capable of traveling among the stars.